The FTSE 100 sneaked a record high close this afternoon after the wind was knocked out of the pound’s sails by a solid US job figures and a closely-watched economic survey across the Atlantic hitting a 12-year high. Sterling was beginning to claw back some of the 1.6pc plunge following an expectations-beating services PMI reading but its momentum against the dollar was halted as US unemployment continued to confound expectations, dropping to 4.1pc, a fresh 16-year low. At first glance, traders sold off the dollar as non-farm payroll figures showed that only 261,000 jobs were added to the US economy and wage growth flatlined but soon piled back into the greenback on upward revisions to previous months’ figures and the ISM non-manufacturing index unexpectedly climbing to 60.1, its highest level since 2005. Aided by the slipping pound and needing less than one point to beat its previous best ever points tally, the FTSE 100 limped to a record all-time close at 7560.35. The release of the iPhone X saw long queues return to Apple Stores on Friday as the new device appeared to reverse a trend of more muted launches in recent years. 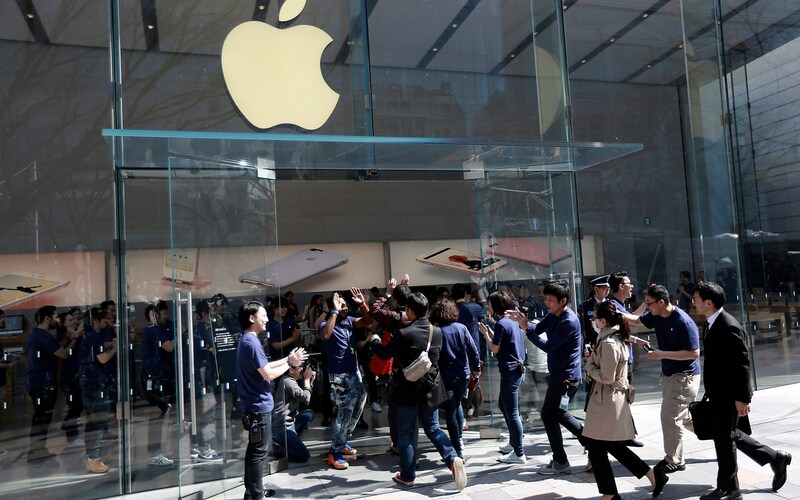 Thousands appeared to line up in cities across the world for the phone, which has generated excitement among Apple fans for being a major design departure from its predecessors. New iPhone launches once reliably drew in huge queues of overnight campers and early risers, but the trend had seemingly tailed off in recent years as excitement over the new devices appeared to wane. But the iPhone X, which features facial recognition technology and a new design with an edge-to-edge screen, bucked the trend. Labelled the "future of the smartphone" by Apple chief executive Tim Cook, the iPhone X is the first mass market smartphone to break the ?1,000 barrier, with its most-expensive model costing ?1,149. But the price has seemingly failed to dampen demand among early adopters. 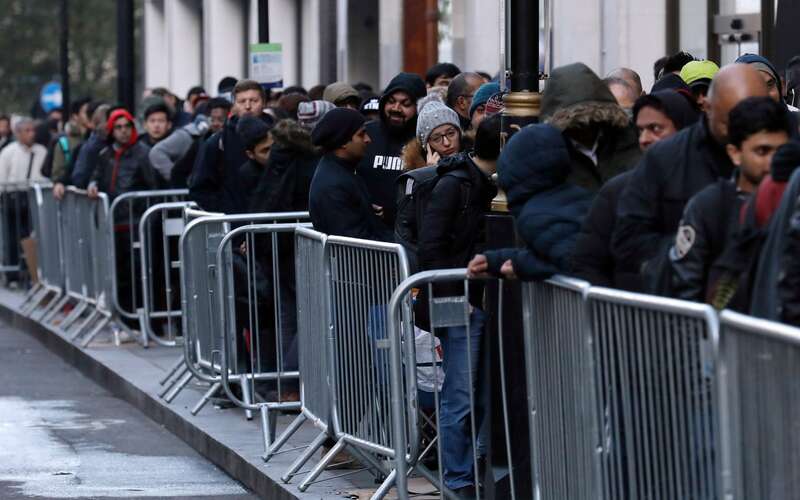 The phone sold out in minutes when online pre-orders opened last week and stock was limited for Friday's release, leading hundreds to queue up outside Apple's flagship Regent Street London store overnight. With half an hour to go, the FTSE 100 only needs one solitary point to hit a record high and the index is flickering in and out of positive territory. It won't be the most barnstorming way to break its record but a record it would be. "The FTSE 100 had a strong start to the session as the pound was still suffering from the Bank of England (BoE) update yesterday. But a combination of a robust rise in the growth rate of the UK services sector and the mediocre US non-farm payrolls figure pushed the pound higher, and we saw the FTSE 100 turnover on itself. "The FTSE 100 is comfortably above the 7500 mark and the upward trend it has been in since mid-September is still intact, so may the wider bullish move could continue." Spooked investors sent shares in Lonmin down 21pc in morning trade after the platinum producer warned it would delay publication of its full-year accounts. 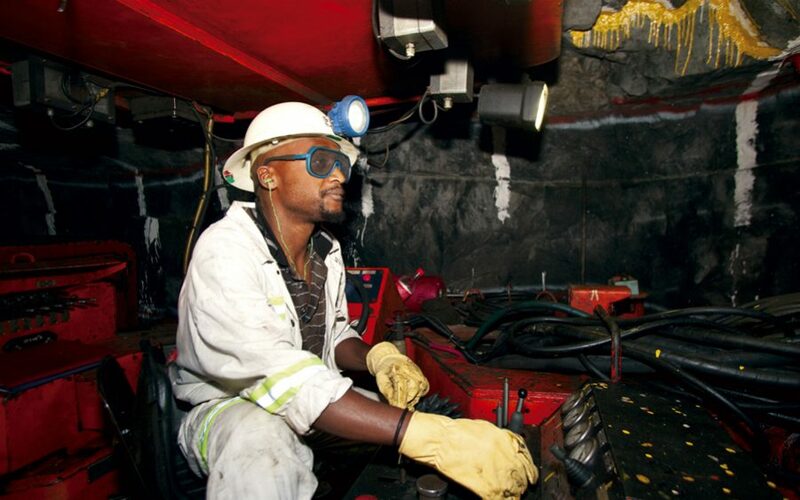 The struggling miner said an ongoing review of its assets required “management's undivided attention” and as such “Lonmin and its auditors require additional time to complete the audit”. The accounts had been due on November 13. Lonmin said it would update the market in due course. The stock slumped to 81.75p. As recently as 2010 it was changing hands for ?126 a share. In 2015 Lonmin undertook a life-saving rights issue that saw a major South African public-sector pension fund take 30pc of its stock. The miner has been hammered by a prolonged slump in the price of platinum, used in catalytic converters in cars, and by rising costs in South Africa, where it operates, due to the strengthening of the rand against the US dollar. This now has a very Friday afternoon feel to it. The pound's rebound against the dollar has eased and the pair are heading back towards flat territory while the FTSE 100, which this morning was on course for a record high finish, has inched into the red. The index only needs to gain 0.93 point today to hit a new best ever close but its momentum has completely dissipated. There's a pile of fresh economics data to get through from the US so let's quickly run through it. The ISM non-manufacturing index beat expectations to hit a 12-year high of 60.1 while factory orders growth nudged up to 1.4pc. Capital Economics US economist Andrew Hunter said that the continued strength of business surveys "illustrates that the pick-up in GDP growth over the past couple of quarters has been no fluke". "Admittedly, the ISM non-manufacturing survey appeared to receive a boost in September as the hurricanes resulted in a sharp slowdown in delivery times (which would normally be a positive signal for demand). "With the supplier deliveries index unchanged at 58.0 in October, that boost appears to have been sustained, as the backlog of orders is being worked through. But this sub-index will probably fall back again soon." 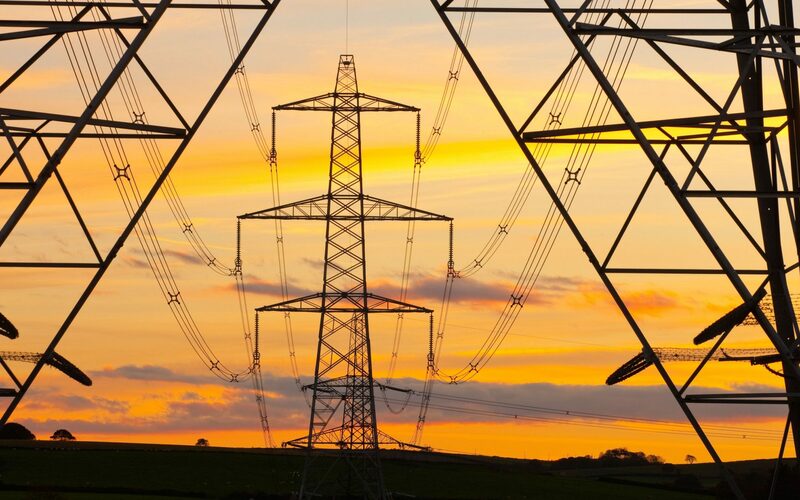 The owner of British Gas has deepened its presence in the growing market for power control after paying €70m (?62m) for a European technology firm that can flex the electricity demand of heavy energy users to help balance fluctuations on the grid. Antwerp-based REstore uses software to control the energy demand of 150 industrial and commercial customers across Belgium, the UK, France and Germany by turning demand down when supplies are tight and letting it go higher when electricity is ample. In total REstore controls 1.7GW worth of power demand, the capacity equivalent of half the new Hinkley Point power plant. At a stroke, REstore can cut hundreds of megawatts of demand from the grid by temporarily reducing its customers' energy use for non-essential operations such as air conditioning, water pumps or activities that can be delayed until overall demand wanes or power supplies are able to ramp up. Tech giant Apple's march towards becoming the first $1 trillion company took another step forward today after its market cap smashed through the $900m barrier on the day of the iPhone X's launch. Apple's 2.6pc jump to another record high today isn't enough to propel the Dow Jones into positive territory, however, with equities stateside echoing the quiet end to the week in Europe. "Earnings smashed expectations. Quarterly revenue rose to $52.6 billion, an increase of 12 percent from the year-ago quarter and above the $50.7bn expected. EPS rose to $2.07, a full 10% above consensus expectations for $1.87. "Sales of the iPhone were also higher than expected as the 8 and 8 Plus are proving more popular than anticipated. iPhone sales are 2% year on year." 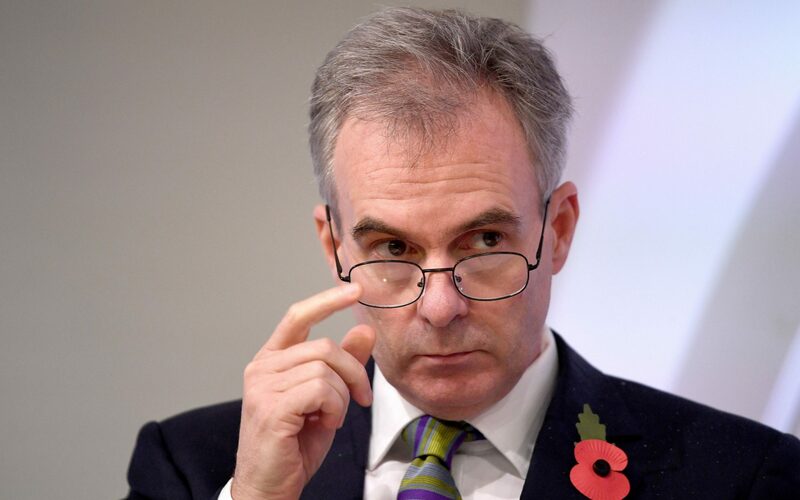 Eagle-eyed Capital Economics' chief US economist Paul Ashworth has spotted that the poor headline non-farm payroll figure is less disappointing when you factor in the previous two months being revised up today. What was thought to be a 33,000 loss in jobs in September was actually a 18,000 gain and partly explains the slightly disheartening headline figure today. "Nevertheless, that still means employment increased by a relatively modest 140,000 per month over the past two months, which is a significant slowdown on the pace of employment growth in the first half of this year. There may still be a lingering impact from the hurricanes, however." The pound is continuing its ascent against the dollar after US labour market statistics came in far weaker than expected. Although unemployment fell to 4.1pc, a 16-year low, only 261,000 jobs were added to the US economy in October, far below the 313,000 expected by economists. Wage growth also disappointed, coming in flat compared to forecasts of a 0.2pc monthly rise. Sterling has clawed back 0.4pc against the dollar and touched back over the $1.31 mark. The bruised and battered pound is climbing on the currency markets this morning after the services sector smashed economists' expectations in a closely-watched survey. The UK's largest sector was expected to cool slightly in October but rose from 53.6 to 55.6 in IHS Markit's PMI survey (any reading over 50 indicates growth). The beat topped off this week's trio of expectations-beating PMI readings which vindicate yesterday's interest rate hike at the Bank of England. Sterling, which nosedived 1.6pc against the dollar yesterday on the Monetary Policy Committee's dovish tone over future interest rate increases, has clawed back 0.2pc against the dollar to rise to $1.3087 following the survey. The FTSE 100's 0.1pc nudge higher is enough to leave it on course for a record high close but airline firms IAG and easyJet are dragging the index towards the red today. Let's have a final round up of the reaction to today's better-than-expected services PMI figures. 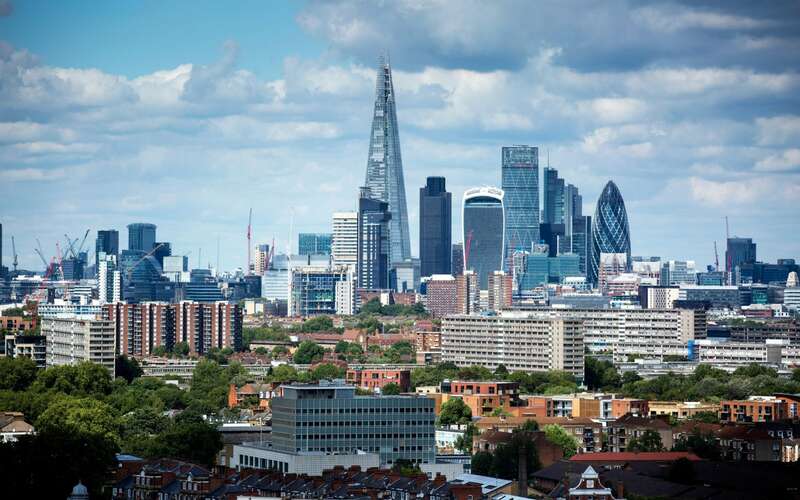 The survey indicates that the economy held onto its recent momentum in the fourth quarter and should achieve growth of around 2pc next year, commented Capital Economics UK economist Ruth Gregory. "As a result, it might not be too long before the MPC moves again. We envisage a second hike in the second quarter of 2018." Christ, the speculation for the next hike has already started. Meanwhile, the ever-cautious Samuel Tombs at Pantheon Macro warned that the stronger growth looks "unsustainable". "The recovery, however, looks liable to weaken soon, given the more modest rise in the new orders index to 54.8, from 53.3 in September, and the depressed level of expectations for future business volumes. "Meanwhile, services firms increased employment at the slowest rate since March, while the drop in the input prices balance to its lowest level since September 2016 signals that wage pressures remain muted." The FTSE 100 is on course to close at its highest level ever after nudging up 0.3pc this morning. After coming within a point yesterday of beating the current all-time high of 7555.32, the blue-chip index only needs to dip a toe into positive territory today to hit a new record. It's still another 20 points off its record intraday high but it could be given a final shove this afternoon if the dollar jumps against the pound on a better-than-expected jobs report in the US. Wednesday's ADP jobs figure, which serves as a rough indicator of how the official figures will do, comfortably beat expectations and could suggest today's data will follow suit. While there was a huge gap between the official figures and ADP's reading last month, hurricane season has warped recent data. The dovish lean at the ECB and Bank of England in the last week or so is helping to lift equities today, according to IG market analyst Joshua Mahony. "Global indices are on the rise, as dovish central banking effects in Europe, coupled with bullish corporate factors in the US, help push the likes of the DAX and Dow into record highs. "The FTSE 100 has moved within 24 points of its all-time high, with the BoE’s plan to revalue the pound through a one-off rate hike looking foolhardy given yesterday’s 1.5% drop in GBPUSD." 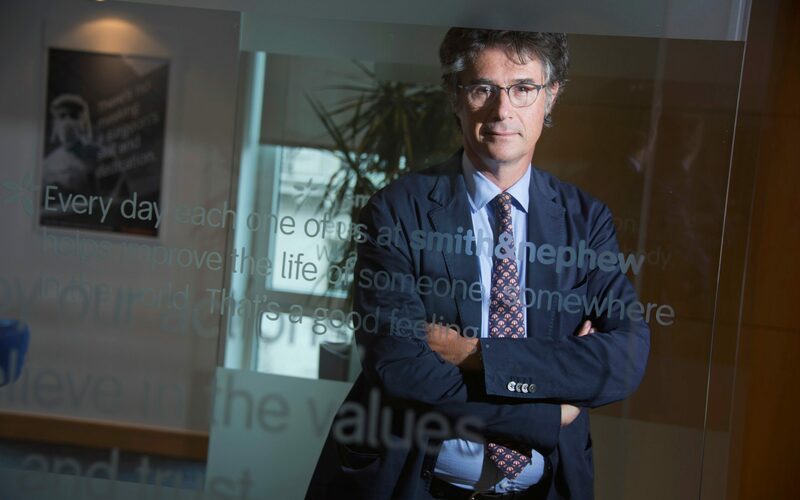 The outgoing boss of FTSE 100 artificial hip and knee maker Smith & Nephew has insisted he has the right strategy for the company after coming under pressure to break it up by activist investor Elliott Advisors. Olivier Bohuon, who announced plans to retire next year last month, said that he would put a “renewed focus on reducing cost” and “simplifying” the business during his remaining tenure. In its update the orthopaedic specialist said revenue and profit margins for the full year would be towards the lower end of forecasts, partly due to natural disasters hitting demand for procedures in parts of North America including Florida, Mexico and Puerto Rico. Revenues in the third quarter were none the less up 3pc on the year to $1.2bn (?920m), with hips and knees performing particularly strongly. The impact from natural disasters was quantified at $5m. So that's three expectations-beating PMI surveys for the construction, manufacturing and services sectors this week and it appears that the UK economy began to pick-up the pace at the start of the fourth quarter. After recording a quite modest 0.3pc growth in the first two quarters of the year, the economy appears to putting its foot back on the accelerator. Last week, the first GDP estimate for the third quarter came in stronger at 0.4pc and the pick-up in today's services sector PMI survey suggests that "the economy continued to improve gradually at the start of the fourth quarter", according to EY ITEM Club chief economic advisor Howard Archer. "Despite the pick-up in activity and new business growth, service companies’ confidence was reported to be relatively subdued amid uncertainties over the outlook, particularly relating to Brexit. "There was particular concern about businesses’ willingness to invest. 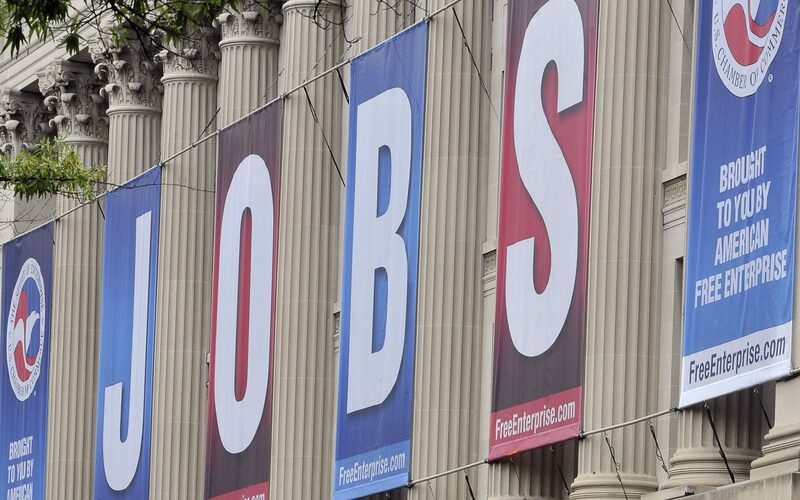 Consequently, employment growth slowed to a seven-month low." That's quite a beat for the services sector in this morning's closely-watched PMI survey. We were expecting the UK's largest sector to cool slightly in October and record a reading of 53.3 (any reading above 50 indicates growth) but it smashed expectations to rise to 55.6, its highest score in six months. IHS Markit noted that the expansion in service sector output was the fastest since April and was supported by "improved order books and resilient client demand". The survey adds "some justification" to the Bank of England's interest rate rise yesterday but a "deeper dive into the numbers highlights the fragility of the economy", said IHS Markit's chief business economist Chris Williamson. "A downturn in business optimism about the year ahead, fueled mainly by Brexit-related uncertainty, suggests that risks are tilted to the downside as far as future growth is concerned. "Not surprisingly, employment growth slowed for a second successive month as the business mood grew more cautious and risk averse." The services sector, the UK's most important, smashed expectations and put its foot on the accelerator in October, according to IHS Markit's closely-watched PMI survey. 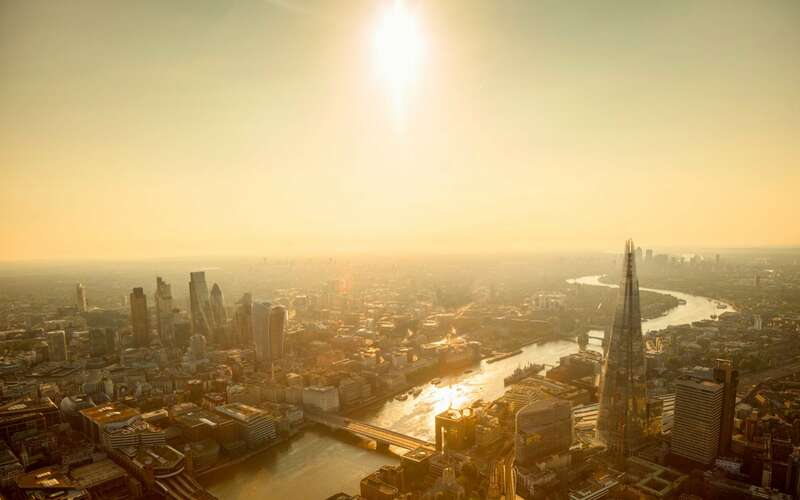 Mobile mast provider Arqiva's ?6bn IPO would have been London's biggest this year and it's a bit of a blow for the capital's stock market but the reasoning behind the ditched float is what stands out most in today's announcement. Arqiva's board said that "market uncertainty" was to blame while hummus supplier Bakkavor said it dumped its own IPO plans today due to "volatility". We're not quite buying that, however. As you can see in the chart above, FTSE 100 volatility is actually at historic lows and some doomsayers actually make the link between very low volatility and previous market crashes. The last thing stock markets are at the moment is volatile. As our chief business correspondent Christopher Williams reported just a couple of weeks ago, Arqiva had a tough time attracting investment when it tried to sell privately and was forced to go public by a lack of interest. 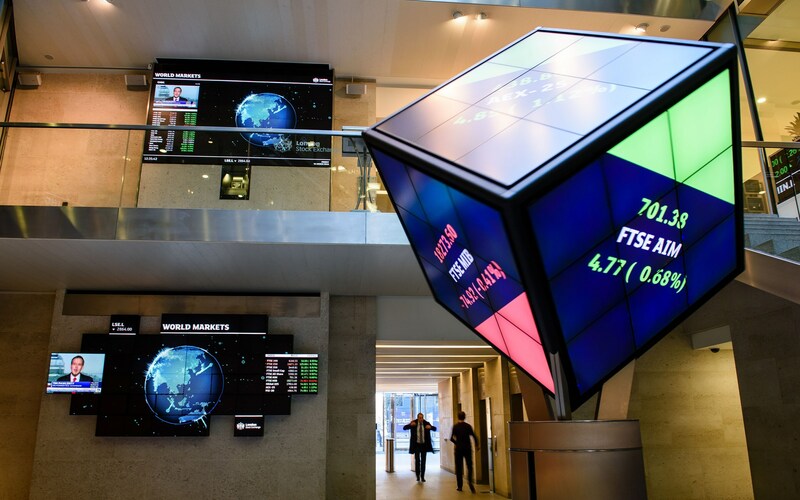 Mobile mast provider Arqiva and food producer Bakkavor have both pulled their initial public offerings on the London Stock Exchange, blaming "volatility" in the market. Arqiva's potential ?6bn float, which would have been London's biggest IPO of the year, was announced just two weeks ago. Bakkavor, which makes ready meals for a host of high-street retailers and is the UK's biggest supplier of hummus, revealed plans for a ?1bn float last month. In a brief statement this morning Arqiva said: "The board and shareholders have decided that pursuing a listing in this period of IPO market uncertainty is not in the interests of the company and its stakeholders, and will revisit the listing once IPO market conditions improve." 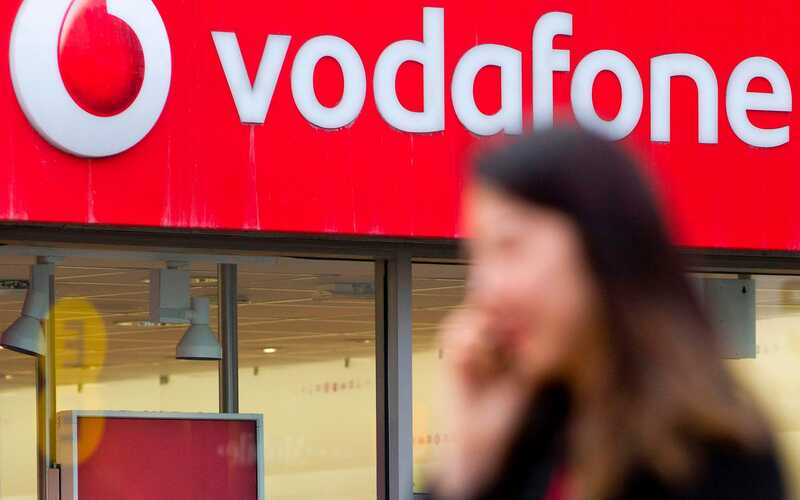 Bakkavor said that while it has received enough interest from investors, it had decided "that proceeding with the transaction would not be in the best interests of the company, or its shareholders, given the current volatility in the IPO market". There's no rest for the markets following yesterday's action at the Bank of England with services sector data, US job figures and Donald Trump's pick for the Federal Reserve's next chair to digest. The pound has halted its slide on currency markets ahead of this morning's services sector indicator but the wind has undoubtedly been knocked out of the currency's sails following yesterday's dovish interest rate hike. The services sector, the UK's most important, is expected to have cooled a touch in October but US labour statistics steal the limelight on the markets today with the Fed gearing up for its own interest rate hike next month. Non-farm payrolls data this afternoon is expected to show that 313,000 jobs were added to the US economy in October, a sharp rebound from September's hurricane-distorted figures. 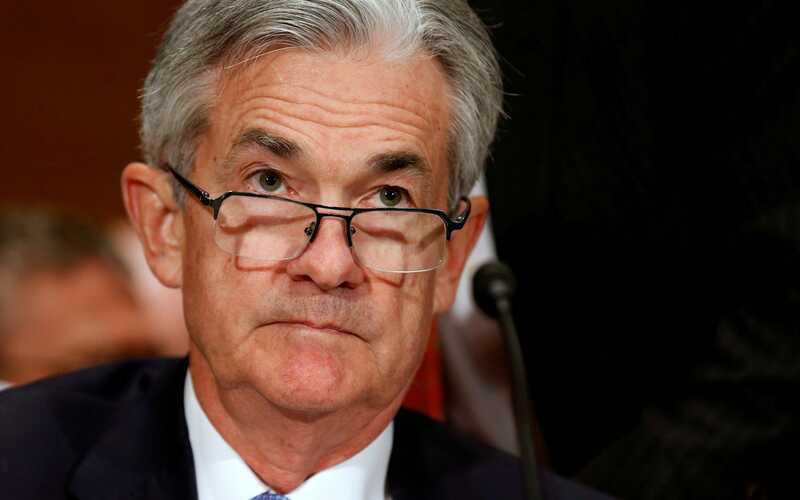 There will also be more reaction to the news that broke overnight that president Donald Trump has confirmed that continuity candidate Jerome Powell will be the next Fed chair. Walk into any ski shop and you will be confronted by a wide array of different skis. Dairy products are typically acceptable, although the physician or nutritionist will likely frown upon chocolate-flavored products or drinks. White flour pasta and breads Majority of diets underscore whole wheat and whole grain breads and pastas because of their high fiber content; although, individuals who are suffering from digestive problems should try to stay away from these food items. It is indeed a high blessing to be the first and last to witness the beginning and end of life. That is because you do not need to have a high technical skill level to be able to turn a soft ski. Wide skis have a wider base surface area, so they are best on powder days when you need to really stay above the snow. Heavy skis stick to the snow better, so they are better for carving and in icy conditions.| This is a popular configuration since the ride is not overly harsh, but the suspension is still stiff and body roll is reduced due to the sway bars. The combination of stiff springs and small sway bars is enough to control body roll. Prevent most minor dings, paint-chips and body blemishes that can happen when someone parks next to you, opens their door and whacks your vehicle. At the door openings, and where the molding ends at the edge of wheel-wells, you may need to cut angles to match the vehicle lines. Prepare the vehicle bonding surface by cleaning it thoroughly with alcohol and a clean white cotton rag. Large bulky wooden puzzle pieces with smooth surface are the best choice because it will be a lot harder to lose ad will not frustrate your child compare to small and fragile cardboard puzzles. Homes with awkward design can often be improved by removing walls to make one large space from several smaller ones. Stick the masking tape at one end, and hold it a few inches away from the car while pulling tape off the roll to the other end, eyeball your line, then stick it down lightly.